The Boa is a lightweight sport climbing rope suitable for a wide range of activities. It has been given a Thermo Shield treatment to increase suppleness and improve handling. 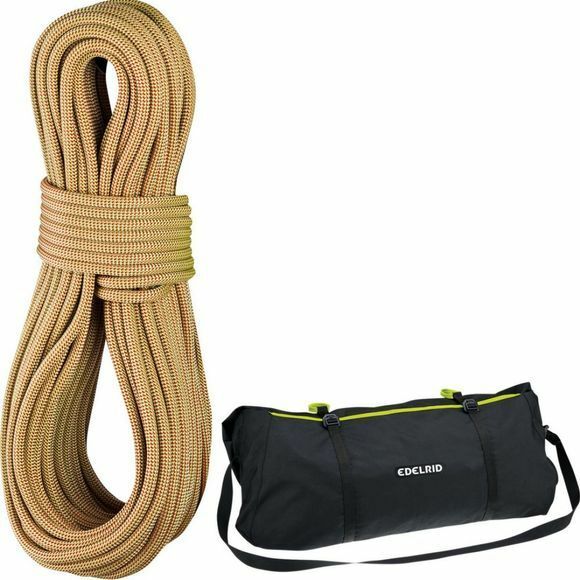 The Liner Rope Bag is a no-frills rope bag that provides reliable protection from dust and dirt. It has two tie-in points for better rope managementa an outer pocket for climbing guides and accessories. It is sized to accommodate all ropes up to 80 metres in length.